ConfiDenT is proud to offer excellence when it comes to root canal therapy. When infection or decay is allowed to progress, it can penetrate the inner chambers of a tooth where sensitive nerves reside. Not only can this produce significant pain, but the infection can threaten the life of the tooth. In order to save the tooth and bring you out of pain, our dentists can perform root canal therapy. Though commonly feared, root canals are actually a painless dental treatment, especially when combined with modern anesthetics, sedation dentistry and the gentle techniques of our skilled dental team. If root canal therapy is delayed or neglected, it can cause worsening pain as well as the spread of infection to neighboring teeth and surrounding tissues. More importantly, it may lead to the loss of the affected tooth. Since missing teeth need to be replaced, patients are then faced with the expense and time of getting a dental implant. At ConfiDenT, we help patients understand the importance of root canal therapy. If you are hesitant or concerned, you can trust that we will walk you through the procedure and protect your comfort at every step. Root Canal Therapy Offers Pain Relief for Infected Teeth! Root canal therapy not only brings you out of immediate pain, but it also restores the health of the tooth and protects it from future harm. During the procedure, we will carefully remove the infected tooth pulp from the inside of your tooth. The area is then sanitized to eliminate any lingering bacteria. 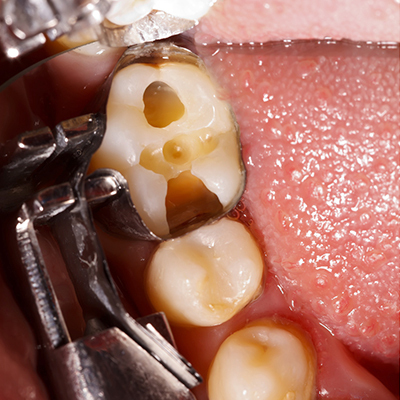 Next, the tooth is filled with a special material to prevent future bacterial invasion. Many patients will also need a custom crown after their root canal procedure to restore full integrity and strength to the treated tooth. If you are suffering from the disruptive pain of an infected tooth, turn to the experts of ConfiDenT. We offer state-of-the-art dental care in a comfortable, patient-centered atmosphere. Our dentists have everything you need for a confident and healthy smile throughout all stages of life. 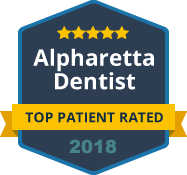 Contact our Alpharetta office today, as emergency dental care is available for your convenience.